The Fast Ring participants, including Skip Ahead, has been sent a new build of Windows 10 Insider Preview from the Redstone 5 development branch. The build number is 17661; it introduces several significant new features. 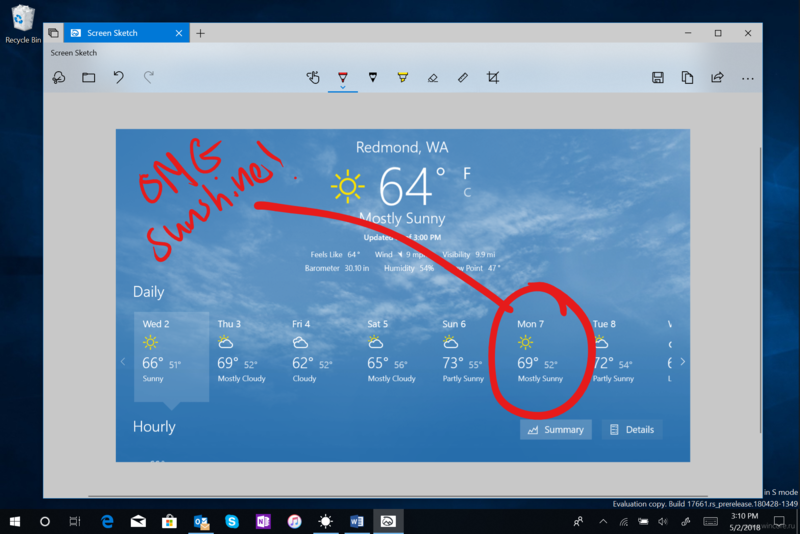 The next update will complement Windows 10 with a handful of new features for taking screenshots. As for Build 17661, it only takes the first step in this direction. The developers will be happy to receive your feedback and suggestions. Screen Sketch has become a separate application! This editor was initially presented as part of Windows Ink Workspace (where few to no people used it, apparently). One of its multiple advantages is the fact it’s updatable via Microsoft Store. From now on, Screen Sketch will be present in the application list conjured up by pressing Alt+Tab. In addition, it will support window resizing, the multi-window mode, and multiple Sets. New functions for Win+Shift+S! Users often asked the Windows developers to introduce an option for taking and sending a screenshot as promptly as possible. Their pleas have been heard, and such a feature has been implemented in Build 17661. Now, when you press the hotkey combination Win+Shift+S, it brings up a toolbar that allows you to select a rectangular or free-shaped area of the screen or to take a shot of the whole screen and send the resulting image to the clipboard. As soon as the screenshot is created, you’ll see a notification on the desktop, suggesting that you open Screen Sketch. In the application, you can add a caption or annotation to the image and then send it to the recipient. We love Fluent Design; Microsoft loves Fluent Design. Now, Fluent Design is used for the background of Task View as a transparency effect with a soft blur. Now, the Focus Assist feature turns on automatically in any full-screen games, allowing you to focus on what’s happening in the virtual world. This option is enabled by default; you can change its status at any time by going to Options → System → Focus Assist. Microsoft continues to transfer sound settings from Control Panel to Options. 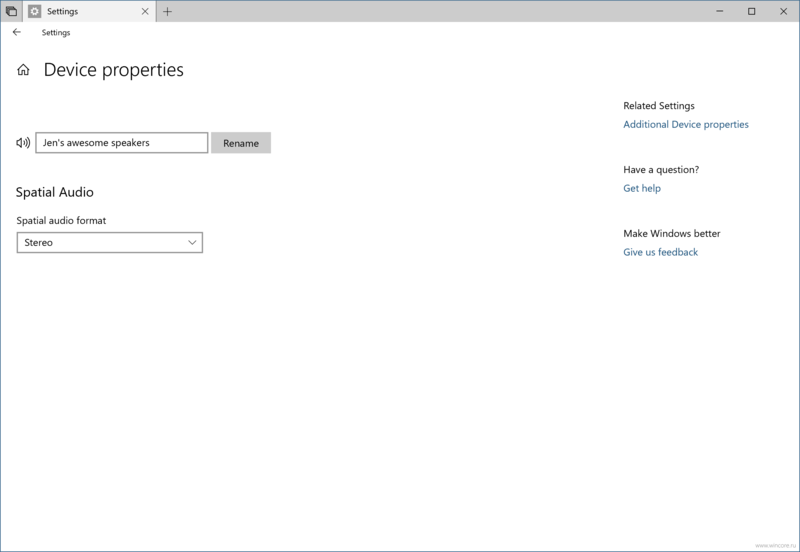 In Build 17661, the sound device properties panel has migrated to Options. 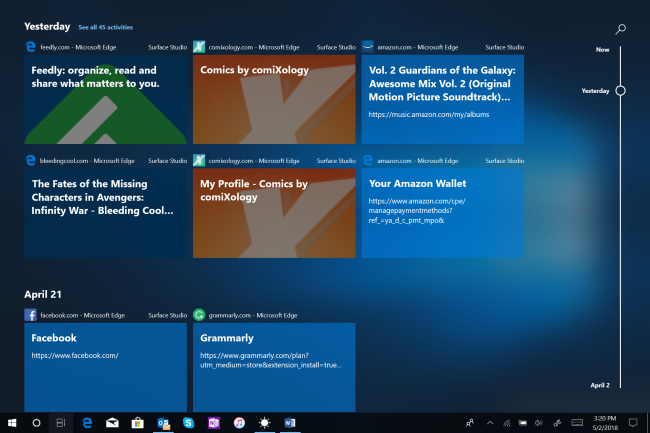 The Windows Insider team continues the experiment that involved the pre-testing of application tabs. Over the past few weeks, Sets have become available to all Skip Ahead members; they’re also back in the Fast Ring. And the number of insiders testing this function in the Fast Ring will be significantly increased: Sets will be available to most participants.